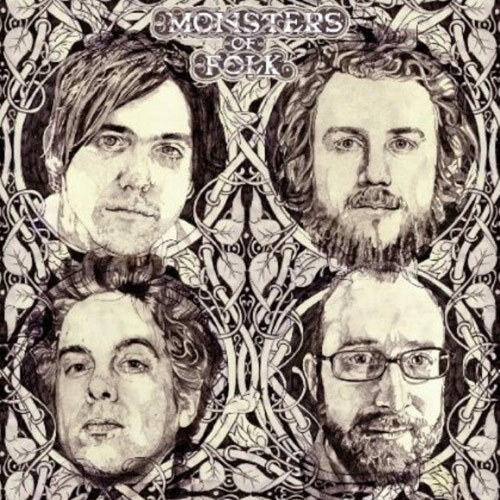 Today’s Cool Album of the Day (#190 in the Series) is the self-titled debut from Monsters of Folk. The Monsters of Folk consist of four gents who are moonlighting from their day jobs. Conor Orberst and Mike Mogis are members of ‘Bright Eyes,’ M.Ward is the Him of ‘She and Him’ while Jim James (aka Yim Yames when solo) calls ‘My Morning Jacket’ home. This 2009 release wasn’t an overnight project by any means. The four of them had actually been trying to get this project off the ground since 2004. Time restrictions kept pulling them apart until late 2008. 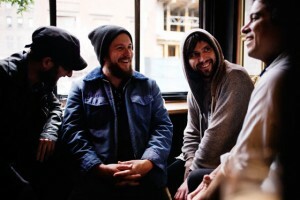 They actually put a good amount of this together playing backstage while on tour with their other bands. Sometimes some of the songs would even work their way TO the stage. Mike Mogis handled the production work. The tracks that received the most play was Dear God (Sincerely M.O.F.) By the way, how many songs are titled ‘Dear God? XTC, Elton John et al. What I liked about this project was the way that all four members had a major part. 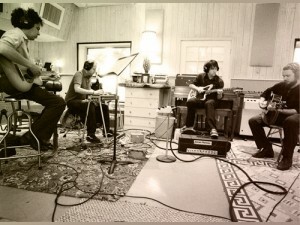 They shared all the writing credits and all four shared vocals on many of the songs. Monsters of Folk reached #15 on the Billboard Top 200 Album Chart. BONUS VIDEO: Yim Yames joining John Prine on Letterman.